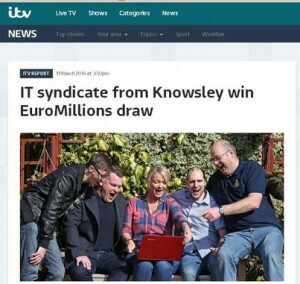 A group of IT workers who call themselves “The IT Crown” have won a substantial Euromillions jackpot. The group of ten will get to share more than £109,000. The IT workers syndicate have been playing together for just two years. Team leader JOe Kerslake was the one who discovered the win when he checked results on his computer. Soon he and the other members were in an unbelieving huddle around his workstation. Most of the group plan to use their share to go on vacations.